This post is sponsored by Seeds of Change® Organic Simmer Sauces. All opinions are my own. Are you looking for something yummy to make tonight for dinner? 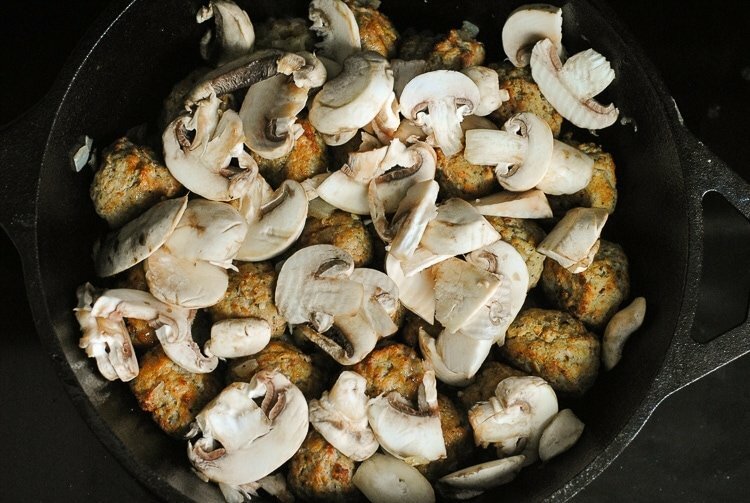 Then you and your family will love this delicious Skillet Meatballs and Mushroom Sauce.This recipe is super easy to make and only requires a few ingredients. This recipe is one your whole family will love. I love making homemade sauces but when you are a busy family like mine, that is not always possible. What sauce am I using for this amazing dish, you ask? Check out the Seeds of Change® Organic Simmer Sauces. Not only are these sauces incredible, but they will inspire you to continue making simple and very tasty meals for your family in no time. I love that these sauces are organic, free of artificial colors, flavors & preservatives. You simply cannot make the most amazing southern dishes without a nice, sturdy cast iron skillet. Besides the sauce, I do believe that the skillet is what makes this dish so amazing. This is where the delicious part comes in. You will need to pour two packages of Seeds of Change Mushroom Simmer Sauce. Simmer on low for 10-15 minutes until meatballs are warmed throughout. Don’t forget to make egg noodles according to package directions. Then finally, spoon meatballs and sauce over egg noodles, sprinkle with parsley and serve. These new sauces come in a variety of savory selections. Each sauce is prepared with Certified Organic Ingredients and free of, so you can easily prepare a healthy and tasty meal. Keep in mind that these sauces are easy to pour, free of fake flavors and ingredients! You can find these great sauces at retailers such as Target, Meijer, Albertsons, Publix, Harris Teeter and Price Chopper. They retail for $3.29 per package. Seeds of Change® donates 1% of sales to support and develop sustainable community based farming and growing programs. Seeds of Change® has awarded more than $1 million in grants to support gardening and farming programs around the country! 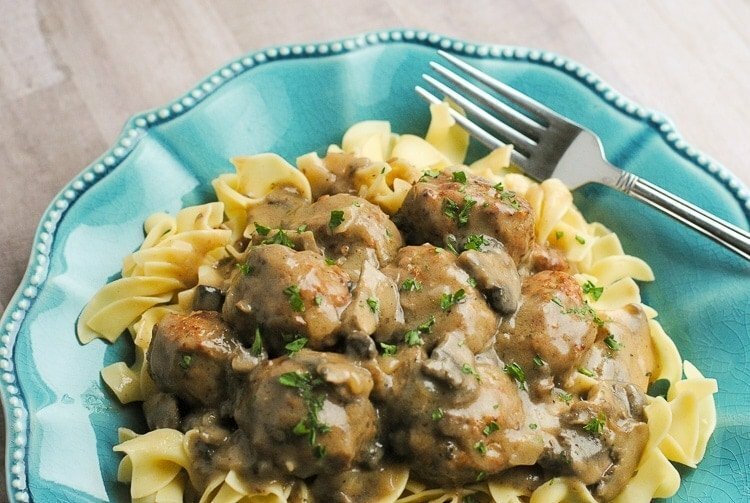 I love that you can flavor the meatballs with whatever sauces you like giving you endless ways to serve them. You can easily sauté your favorite meats, add the yummy Seeds of Change® Organic Sauce and have a family favorite and healthy meal in no time. Drizzle 1 tablespoon of olive oil in a cast iron skillet or dutch oven. Saute white onion and garlic until onions are translucent. Top with 2 packages of Seeds of Change Mushroom Simmer Sauce. 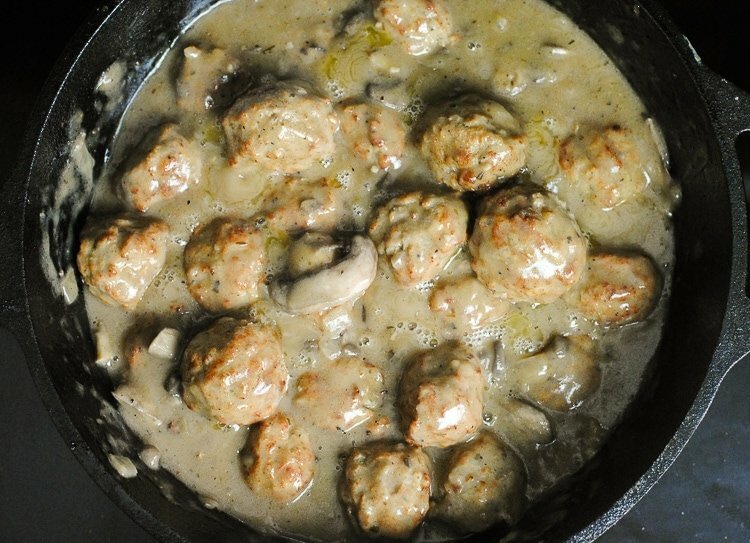 Simmer on low for 10-15 minutes until meatballs are warmed throughout. Make egg noodles according to package directions. 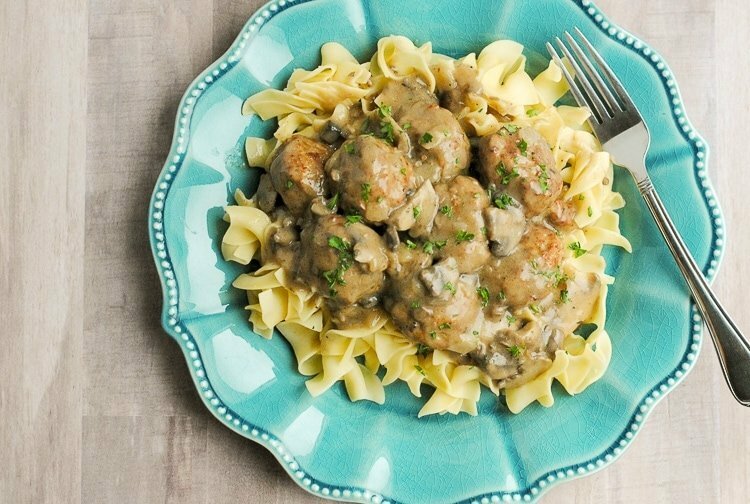 Spoon meatballs and sauce over egg noodles, sprinkle with parsley and serve. This looks delicious and easy to make. I have a cast iron skillet so I need to try this recipe.